UBC’s Board of Governors will be holding their June meetings starting next week. One of the items on the agenda is the Gage South Student Residence, a new student housing project which will be built above, and integrated with, UBC’s new diesel bus loop. As if finding a way to have >600 beds of student housing coexist on the same footprint as an extremely busy bus exchange isn’t an unusual enough project, the mix of units proposed is intriguing. In addition to studio, 1, 2, and 4 bedroom units, which UBC already has scattered throughout campus, two new types of units are being considered: micro units and city homes. Micro units are currently programmed at 145 sq ft and are being developed to address affordability issues for some students. Rents are expected to be in the $670 – $690 per month range. These units will also act a test for marketplace acceptance for this style and size of living environment. These micro units are intended to be completely self-contained with a bed, desk, kitchen and washroom. 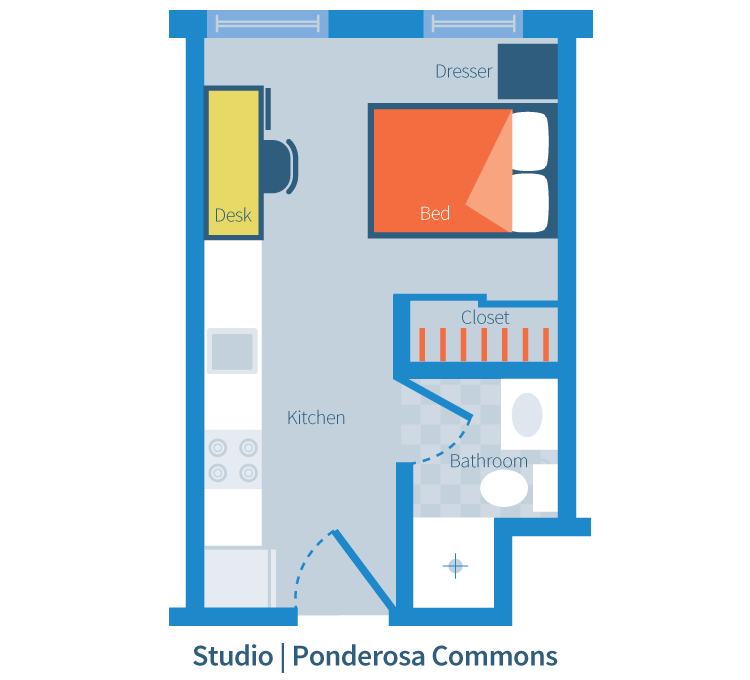 Currently, the smallest self-contained units offered by UBC Student Housing are small studio apartments in Ponderosa Commons. At approximately 215 sq ft, Ponderosa studios, in any other context, would already qualify as micro units. They rent for just under $1000/month on a full-year contract. The proposed layout of these 145 sq ft micro units is not included in the document. For comparison, a single room in Vanier or Totem is about 108 sq ft, but does not include a kitchen or washroom. The minimum size of a standard parking stall in Vancouver is 5.5m x 2.5m, which equals 148 sq ft. The other new type of housing listed is called a “city home”: 2-story, 3-bedroom townhouse-like units that have direct street-level access. On the opposite end from the micro units, they are unusually large for student residence, ranging from 1500 to 2150 sq ft. No other details of these units, such as projected rental rates, has been included in the documentation. It’s hard to know what the demand might be for these new units. How many students are willing to live in a space literally smaller than a parking stall in order to save money on rent? How many will pay more for a relatively spacious city home? It seems UBC Student Housing isn’t quite sure either and has been conservative in how many they are planning to build. Of the 287 units planned for the entire residence complex, 43 are micro units and 10 are city homes. There is a case to be made that increasing the variety of units available to choose from is worthwhile, and that simply adding more units of any size or configuration is a positive. The waiting list for UBC Residence hit 6,300 this year, the highest number on record. However, it’s rather cynical for these micro units to be pitched as an initiative to address student housing affordability in the same year that UBC student housing raised rents 20%. Such is life in a housing market as detached from reality as Vancouver’s.